On the lines of Goa Public Service Commission, the BJP-led government has tabled a bill to set up Goa Staff Selection Commission. This would cater to the appointments of C and D class government employees, through a common examination conducted by the Commission. 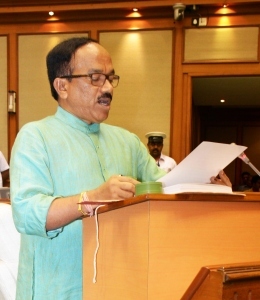 Parsekar intends to get the legislation passed in the ongoing monsoon Assembly session. The commission would conduct the common examination and also select the candidates. The bill suggests to set up a three-member commission, to be headed by a retired IAS officer as the chairman and two retired government officers as its members. Each commissioner would have a term of five years or the age of 65 years, whichever comes earlier. In case the three-member commission develops differences over the selection, the final decision would be taken by the government. It would apply to all the government departments, organisations and autonomous bodies constituted by the government as well as other tenure posts for the offices of chief minister, opposition leader, advocate general and other posts. The bill proposes that every department and other notified bodies would intimate the commission about the number of vacancies, including the anticipated vacancies of the year.